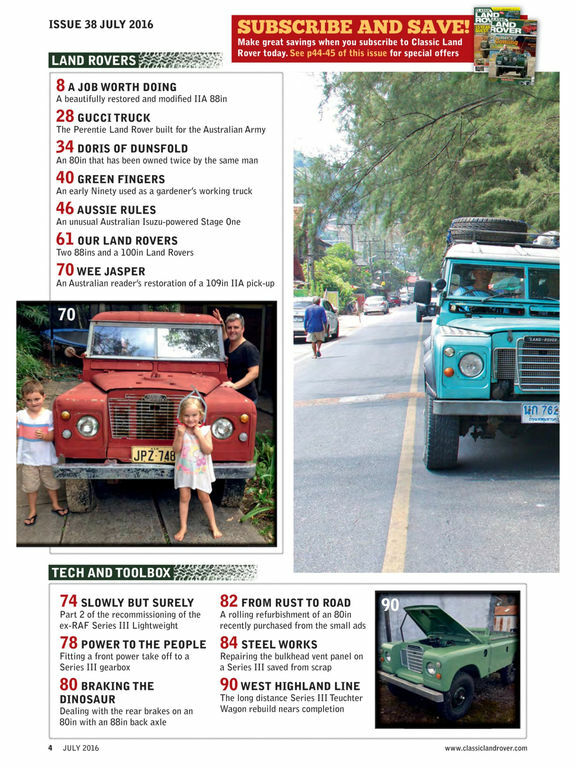 •Tech and Toolbox - sections dedicated to comprehensive workshop and practical Land Rover tasks. 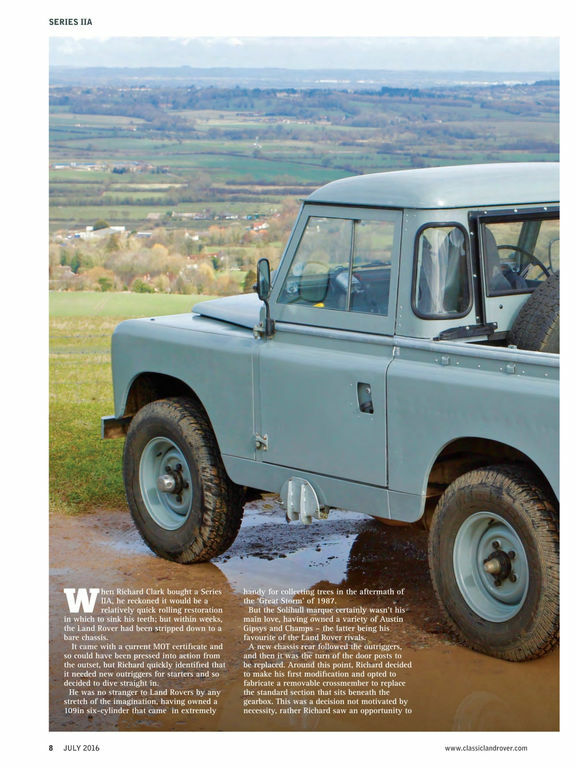 •Restoration features - classic Land Rovers enthusiasts have restored. •Vintage Britain – ‘out and about’ in interesting corners of Great Britain in classic Series Land Rovers. 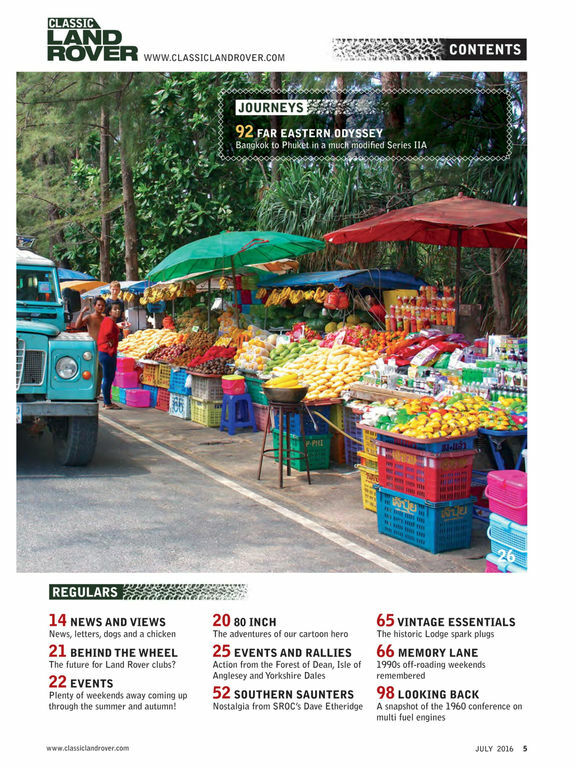 •Journeys - tales of adventure and accounts; off-roading and greenlaning and trips further afield to and from other continents. •Club Reports - classic Land Rovers in action at both national and club events. 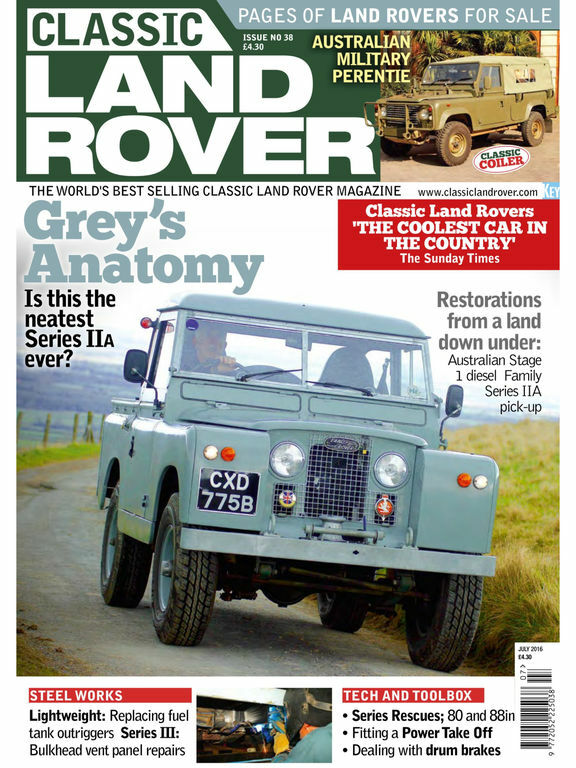 •Land Rovers for sale – free classified reader adverts section. 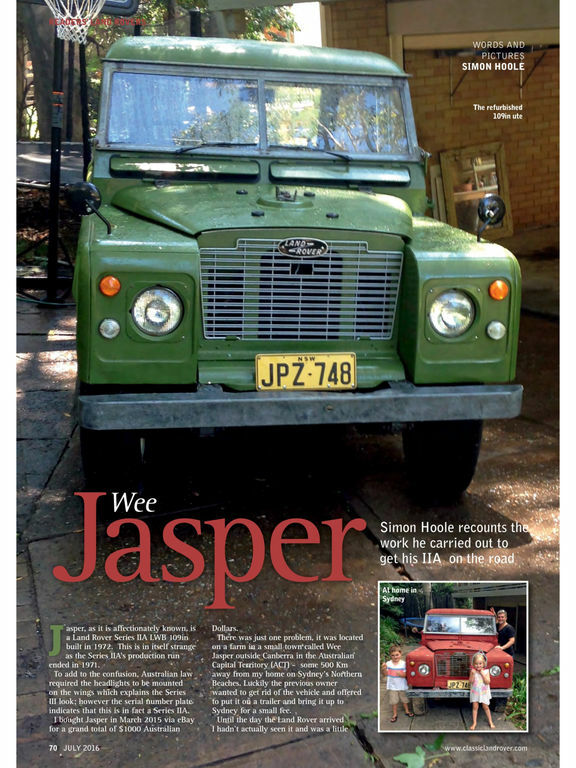 •Latest News - news from across the classic Land Rover scene including parts, politics and clubs.